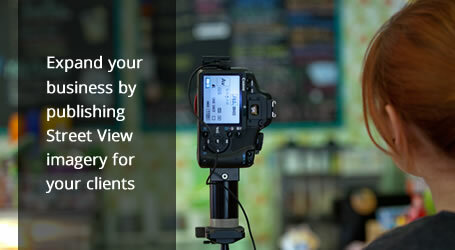 Apply today and learn how you can expand your business by offering Street View-style panoramic imagery for your business clients. Why become a Business Photos Trusted Agency? As a Trusted Agency you'll be able to offer your business clients high-quality, 360-degree, virtual tour imagery using the same technology as Google Street View. Grow your business by enlisting your trained photographers and agency staff to sell, shoot and publish Google Business Photos. Help local businesses strengthen their online presence by creating a virtual tour of their business. Panoramic HDR photo shoots are easy: minimal camera and lighting adjustments allow for most shoots to be done within 2 hours. Your trained staff can use Google's free online software tools to upload, process, and publish your images within a few days. Check out our Street View Gallery showing how Google Business Photos imagery brings businesses to life online. Visit our website for business owners to learn why businesses around the world are using Google Business Photos as a powerful online marketing tool. To learn more about how to become a Business Photos Trusted Agency, apply now. Is my agency ready to apply? Tie ups with reseller agencies who can further help expand your business.